Hypex FusionAmp Two-Way plate amplifier. 2 x 500W Ncore amplifiers, bridgeable to 1000W. • Digital Optical TosLink input. • Digital S/PDIF in and through. Technique NCore. if you like my Product. Weight 135g. we are located in Shanghai China. Speaker connection : Pure copper patented Hattor. For sale this great integrated amplifiier based on amaizingNCore power modules. Full balanced design with state of the art64 stepped attenuator withVishay resistors. One amp (which has 1 input trigger and 2 output triggers) can be powered up only with trigger input, while other two monos can be powered up with or without trigger. Basic trigger cables will be included. 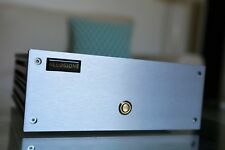 Exemplary integrated amplifier custom built by Hattor Audio to highest standards. I was hugely impressed with overall build quality, feature set, design and sound quality. Integrated passive pre-amplification is based on highly regarded Hattor passive design. This is a full balance input type stereo class D Amplifier. Unit shuts down when either rail exceeds 52V. HxR regulator ready. Differential audio input. RFW 360 /HYPEX UCD 180. 240V operation. - Unit shuts down when either rail exceeds 52V. ELECTRICAL FEATURES - HxR12 ready. - LM4562 buffer OpAmp. 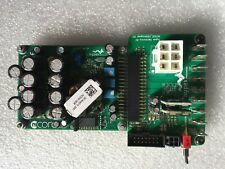 • Two Hypex NCore NC500 Module. • Two Hypex Input Buffer Board with LM4562 Daul Op Amp. • 26 dB Gain. Most Demanding of Speakers. • High Current Output Capable of driving 2ohm for the. • Ultra High Damping Factor. For assembly we use cables Nordost, Neotech, XLO. UcD is a self-oscillating amplifier for field effect transistors, Class D. Switch to UcD - High Quality Sound. The case and its color are your choice. Well pre-made with enough length, suitable for NCORE Case-Kits (Mono & SE). Face-Plate: 8mm thickness & NCORE logo (Option: Blank face-plate without logo is available). Well designed for Stereo Mode, Compact Layout, Small Size & Big Power. Output power: 650W. Output power: 600W @20Hz. - Advanced over current protection. in this item we can provide you more photos in details if you wanna. this item just include what you can see in the picture,all the accessories are showwed in the photos. This is only DIY case for Hypex DLCP platform, but. Single(1pcs) Full-Black DLCP-PRO DIY Case-Kit, dedicated design for Hypex DLCP platform. Bottom-Plate: 5mm thickness, pre-drilled holes for Hypex DLCP modules. Face-Plate: 8mm thickness & NCORE logo. ghentaudio Audio Cables ghentaudio have already released over 40 kinds of audio interconnect cables. Well designed for 3CH, suitable for DIY 3 channels amp project. Well pre-made with enough length, suitable for NCORE Case-Kits (Mono & SE). Face-Plate: 8mm thickness & NCORE logo (Option: Blank face-plate without logo is available). 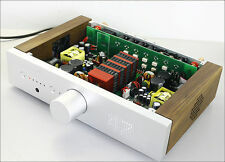 Well designed for Mono-Block Mode, suitable for DIY Mono amp project. parameter: Brand: Hypex Item No. : UcD700HG-HxR Features: *hypex is a Dutch supplier of audio parts In addition to providing Class D amplifier modules, *hypex also offers audio DSP frequency divider-front-decoder, voltage regulator module, power supply and other related components. GENERAL FEATURES: Pop-free start and stop control Differential audio input Overcurrent and over voltage protection No compromise components LM4562 buffer OpAmp HxR12 ready Improved on-board buffer supply APPLICATIONS: Audiophile power amplifiers for professional and consumer use. APPLICATIONS: Audiophile power amplifiers for professional and consumer use GENERAL FEATURES: Pop-free start and stop control Differential audio input Overcurrent and over voltage protection No compromise components LM4562 buffer OpAmp HxR12 ready Improved on-board buffer supply. APPLICATIONS: Supply for single or multiple amplifiers of the UcD range Active loudspeakers HIGHLIGHTS: High efficiency Selectable input voltage range Extremely small form factor Low EMI *SMPS400 Power Supply is a 400W high efficiency switch mode power supply. This is only DIY case for Hypex DLCP platform, but. Single(1pcs) Full-Black DLCP-STD DIY Case-Kit, dedicated design for Hypex DLCP platform. Bottom-Plate: 5mm thickness, pre-drilled holes for Hypex DLCP modules. JENSEN H-240 H240 HYPEX PA HORN LG 24" Spun Aluminum Bell w/1" Scew On Entrance. DRIVERs etc.too. This is a 24" conical shape long throw PA horn made of spun Aluminum for Extra Strength. The rear driver mounting plate is made of diecast steel as well. The steel main mounting U bracket is included. TESTED AND WORKS GREAT. Nice horn or speaker at a great price. May wish to use new wire as the wire on it looks fairly old. It is impossible to be an expert and we are honestly representing the item to the best of our ability. Print ad for Hypex Sound Projectors. This is an original 1949 Radio TV News magazine. This ad is rated'Very Good' on a scale of. It is not a reproduction or reprint. not detract from the integrity of the ad.